Rassids is a Shia feudal theocracy located in Southern Arabia near Yemen. It has a core on Aden and it has Yemeni culture, enabling the formation of Yemen (as they would go on to do historically) and, if very sucessful, Arabia. The Rassid state has national ideas focusing on a strong military, featuring a 10% morale boost, 10% infantry combat ability and -15% shock damage received On top of that, it follows the Zaidi school of Islam, further improving their damage mitigation to a whopping -25% shock damage received. In addition, their economic prowess is not to be underestimated, with three rather good Ideas for trading. Being a Yemeni culture nation, Rassids can form Yemen - if Yemen has ceased to exist - for a quick injection of prestige and permanent claims around southern Arabia. They're also given the option to change to Yemeni ideas, but this is not recommended, since Rassid ideas are generally considered superior. Comparatively, Rassids have a much stronger and larger army, while the Yemeni set has a better economy and diplomacy. Rassids, theoretically, start in a difficult position, being Shia in a Sunni ocean. Most of its neighbors will be hostile from the beginning, including the Rasulids in Yemen, who control far more profitable provinces than yours, notably Mokha. The Mamluks will soon gain permanent claims on the entire region through their missions, and, to top it off, you're faced with a rebellion from the get-go of pretender rebels to drain your manpower. However, not all is lost. First and foremost, the pretenders can be allowed to win for a bloodless start. The ruler they support has random stats, so it is possible to keep restarting until the pretender is very skilled (perhaps even a perfect 6/6/6 ruler). Second, Rassids are a military beast. From the very beggining, they'll have equal or more manpower than the larger neighbors, and their infantry combat ability idea grants them a good early edge to stack up with the religious school. Third, due to being Shia, allying the Mushasha might prove prossible in some games, granting a decently-sized ally to defend the player. Scholars of the Jafari school of Islam can be employed if an alliance is struck with Ardabil, Shirvan or Mazandaran, for yet another military boon of +10% shock damage dealt. If impossible, the Ismaili school can be chosen from a neighbor. Couple that with a combat-based advisor (+5% Discipline or +10% Morale), and Rassids starts with one of the best armies possible. If the pretender trick is used, an early military technology 4 can be used to further pronounce this edge over the player's neighbors. While the Mamluks is definetely a no-go this early, all of the Rassids' neighbors can be easily crushed in a one-to-one ratio, perhaps even as much as a one-to-two. Using that strength, the player should attempt to consolidate in the region in whatever way possible. Making temporary allies and offer them land to take some pressure away from the player's manpower, while not actually giving them any land, is a valid strategy - when the alliance is broken, the player can then attack their old "friend". Be aggressive, and try to consolidate yourself into being much stronger than all of the minors nearby. 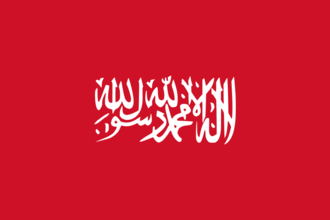 If diplomats are free, improving relations with the Mamluks to prevent a potential disastrous coalition (or, mayhaps, even ally them) will give the Rassids breathing room to let their manpower cycle come through, the Aggressive Expansion lower, and the economy flow faster with every unlocked idea. It is important to note that, as a Feudal Theocracy, the Rassids have several massive advantages. There is the obvious one in the claims from sanctioning holy war, but the other abilities shine just as much. In southern Arabia, it will take a while for institutions to spread. Using the diplomatic ability of Feudal Theocracies (Invite Minorities from Abroad) together with the Edict to encourage development, the Rassids can stack up modifiers to spawn the institution in their own lands through development. Some other easy to reach modifiers are state prosperity and the Centers of Trade of the Gulf of Aden trade node. Once the player has united the general vicinity of Yemen, the Rassids are free to do as they please. Feudal Theocracy and their crazy military/economic ideas enable them to play tall during their AE/Manpower cycles without stopping their growth too much. The normal expansion route is to push eastwards towards Oman/ Hormuz. Alternatively, moving into the Horn of Africa might be easy if the local alliances are not too unfavorable, albeit watch out for Ethiopia and their considerable starting size and lust for provinces within their culture group (as an Empire, they are automatically accepted for Ethiopia). After a lot of growing, the player can then go for the wealthy lands of Egypt, exploiting mamluk weakness while they are at war with the Ottomans or just overpowering them with a better army. Recommended idea sets include Defensive to further improve Rassid fort defense and morale, while granting them better handling of attrition (reducing that which they receive and increasing that which they inflict) in the wild deserts of Arabia, as well as Economic, since it goes well with the Rassids' goods production and the Mokha province, while also granting another -20% development cost - a massive monarch points saver for institution spawning. Trade will provide more money than Economic, albeit will take longer to show that advantage, does not make development cheaper, and lacks the powerful policies that Economic brings to the table. This page was last edited on 17 March 2019, at 16:29.